Jump area, b-ball hoop, pop-up obstacles, climb feature and slide. Has basketball hoops inside and out for extra skill development. 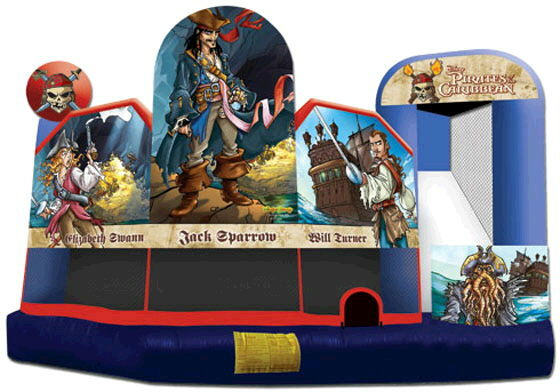 * Please call us for any questions on our moonwalk disney caribbean pirates rentals in Ft. Wayne IN, Warsaw, Syracuse, Auburn, South Bend, Indianapolis IN.